A sly chuckle escapes her lips as she plants the three-inch needle with surgical precision into the top of the athlete’s glute. The athletic trainer meticulously continues her work, transforming the battered and beat athlete draped over the table like a lifeless bear skin rug into one that appears to have been repetitively tranquilized. Ten minutes later, the final resemblance of the athlete is that of a porcupine on high alert with 50 needles trailing glute to toe, each needle working to undo weeks worth of pain and tension. “I’ll survive!” her athlete dramatically replies. A knowing smile and nod are all the trainer gives as she walks off to record every targeted point. For SMU Cross Country/Track and Field athletic trainer Honami Abe – sticking 50 needles in someone’s legs, while listening to another complain of a sore ankle, while yet another quizzes her on the peculiar rash adorning their leg (all at 7:30 in the morning) – it’s just another day at work. And although they drive her “crazy” at times, Honami’s passion to see every athlete thrive shines through her commitment to go beyond the call of duty in everything she does. The 23 member strong, 2018-19 Track and Field team is a diverse bunch. Some are quiet, shy talents, while others are boisterous, ambitious dream chasers. Their opinions are almost as diverse as their musical tastes, with pump-up playlists ranging from “Rack city” to Ed Sheeran to the classical theme song from the 1981 film “Chariots of Fire.” There are, however, three uniting beliefs that hold this team together. 1. Olive Garden’s breadsticks are the “bomb,” and the best part of a pre-comp day. 3. And, Honami Abe is the glue that holds them all together. “We would be nothing without her,” Junior EmmaKate Few explains. 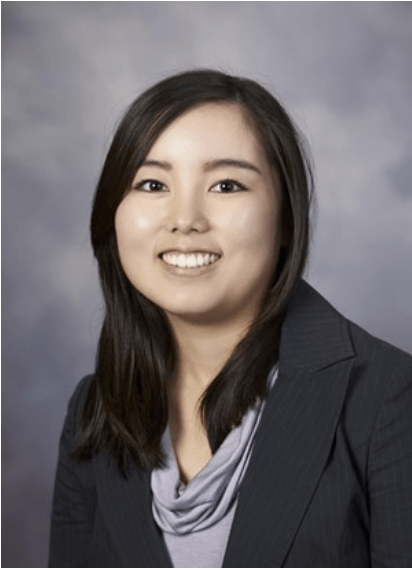 A Tokyo native, Honami Abe set her sights on college in the US from a young age. “I always knew I wanted to be an athletic trainer,” she says. Arriving in America in 2007, she began her Bachelor of Science in athletic training at Indiana State University and went on to complete her internship as a graduate assistant at High Point University. Serving as a trainer for both the Men’s and Women’s Track and Field teams. Honami arrived in Dallas in 2013 joining the SMU family in 2014 where she adopted a “small and unique” team eager to take on the nation’s best. It’s not always easy playing medical magician for a team whose specialty events differ so vastly. The team’s motto of ‘adaptability’ is perhaps best seen while traveling, via Honami’s ability to assemble an entire medical station –massage table and all– within the confines of a single hotel room. Her to-do lists on days prior to competition sound like chaotic rewrites of the “12 days of Christmas” – and they are! A thrower’s shoulder needs cupping while a jumper’s back needs to be strapped. The sprinters all need their pre-meet flush and the distance girls need their hips aligned. Not to mention the countless ice bags to pack and tie in a meticulous fashion, nor the 10 packets of electrolyte mix, three doses of ibuprofen and random assortment of band-aids to administer all within a tight 2-3 hour time frame. But in some strange fashion, Honami thrives under the pressure. When she’s not simultaneously fixing the entire team, you can find Honami reading or working out. A zen yoga and Pilates master, she could beat most of her stiff athletes in a flexibility test. The demanding and, at times, 24-hour-long work day is “a lot,” she admits. 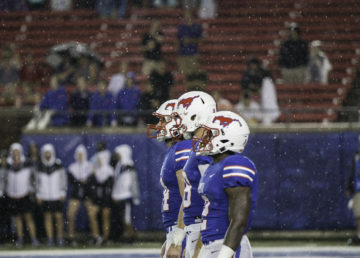 But the coffee-fueled camaraderie in the tight-knit group of athletic trainers working in SMU’s sports medicine center helps carry the mood. The unconventional family environment, (a lot of venti soy lattes,) and being able to witness athletes flourish, make it all worth it for Honami. “I like seeing them grow,” she smiles. Her passion clearly extends beyond the daily duties her role demands. As the 2019 Track and Field team continue to dominate their 20-hour training weeks in preparation for the coming season, no matter how results pan out one thing is a given. Honami will be there cheering from the sideline, with her medical kit and massage table in tow, ready to fix the broken bodies and cherish the broken records she enables.